M'Lynn loves animals. On dates, we ofter stop so she can pose with any animal we see. But after seeing M'Lynn's recent experiences with animals, I think she should reconsider her views. M'Lynn's first experience with animals. 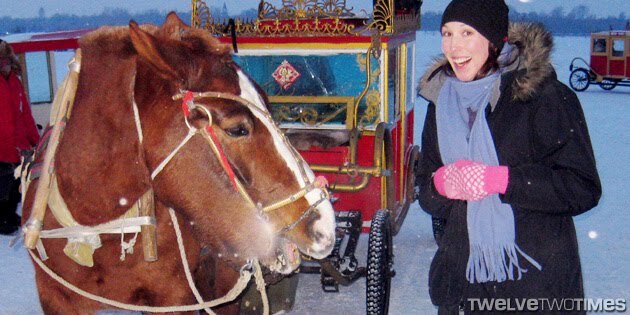 It looks like the horse is ready to eat her. She immediately jumped away. Second, she visited the elephant camp. 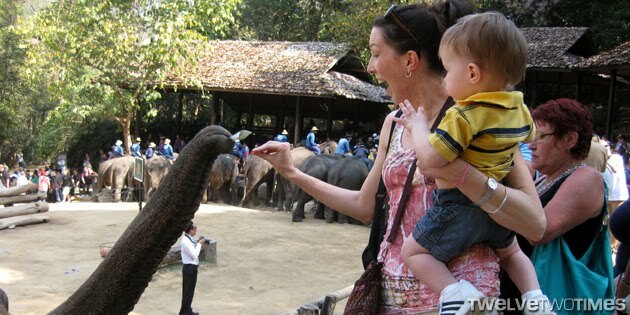 To make the elephants like her, she decided to feed it some money. A much better experience. Third, she visited the zoo. 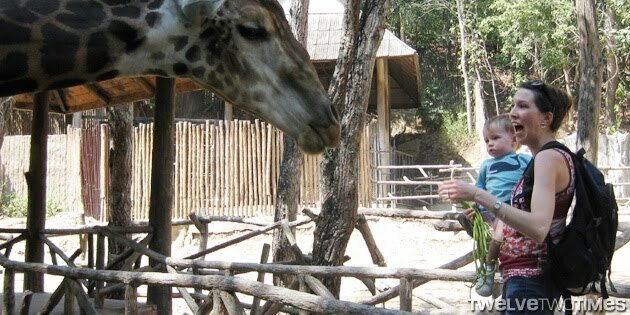 Learning from her past, she bought some green beans to feed the giraffe. Notice she makes the same face each time she's near animals. 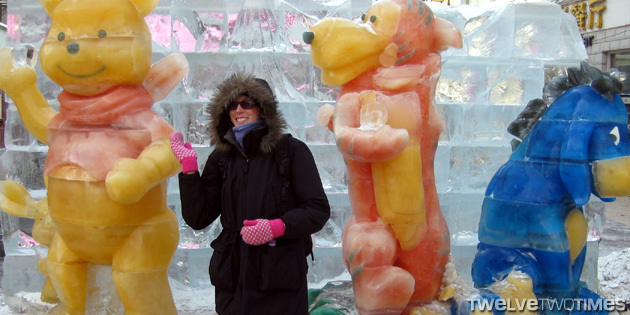 Frozen animals found on Center Street, next to a frozen Buzz Lightyear, Zurg, Bullseye, Rex, and Evil Dr. Pork Chop!